Loft is a webVR narrative experience. It consists of a self contained environment that plays out for the viewer based on its own logic. With limited agency granted to them, the viewer’s role will initially feel like one of pure observations, but as the world unfolds around them, they will find that their point of observation, and how they choose to navigate the space, will make critical differences to how they experience the narrative and logic of this world. 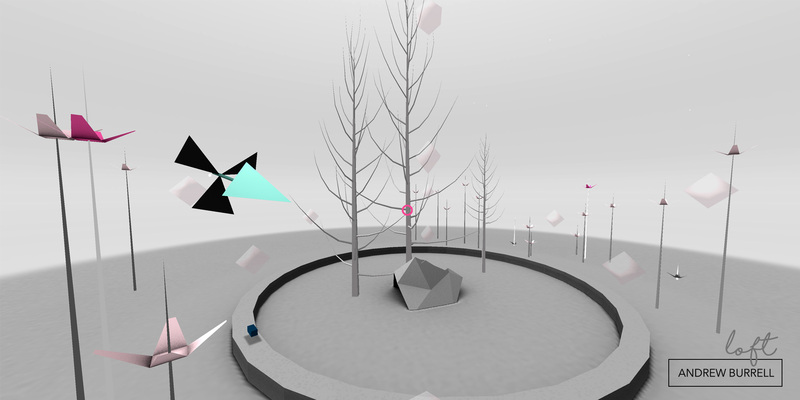 As well as investigating ways of presenting fragmented and abstract narratives within virtual reality, Loft explores an unusual aspect of virtual reality technology in its ability to be both immersive and distancing at the same time. It intentionally highlights the disembodied “head in a jar” feeling, while at the same time providing an abstract environment that invites exploration, immersion and the potential for a more visceral reaction to the space. Loft uses gaze based navigation. Use the pink cursor to look and select the ‘start’ icon, then use the same technique to gaze at the translucent pink diamonds that will appear and navigate through the space. 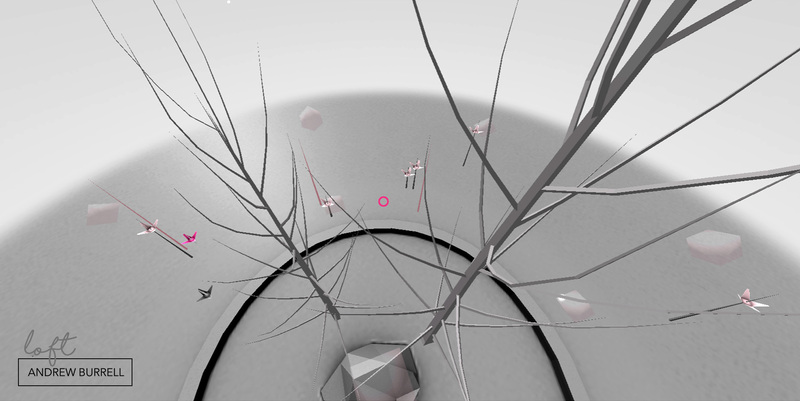 On initiating the work, a number of virtual seeds are randomly spread around the environment, and begin to grow. At the same time an entity begins to fly through the space, exploring its own new environment. As the seeds mature they will flower, attracting the entity which will deliver fragments of spatialized audio narrative to each flower as it visits them. This flowers will eventually die and with them the fragments of audio. Over a period of approximately 6 to 7 minutes the world will come to life and then return to a state of quiet. 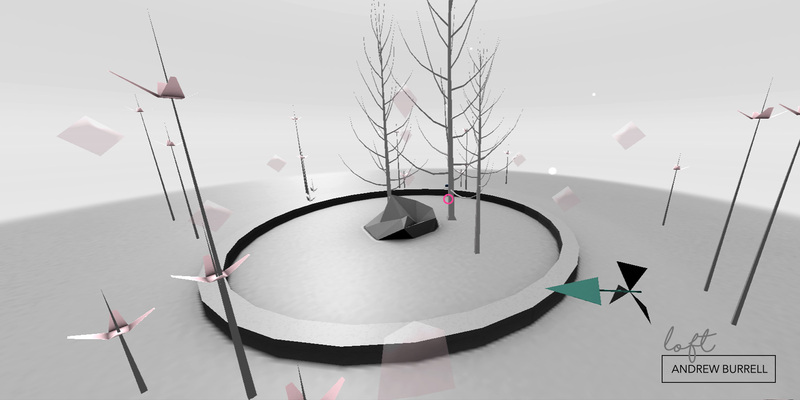 The viewer can explore the resulting audio environment and in doing so mix the spatialized audio that surrounds them into their own unique narrative.